You have to place the right materials in the right place at the right time, in the right condition. And the variables can get complex. That's where a partner like Cisco-Eagle can be of assistance. We can help you define your needs and deliver a solution that improves assembly operations, optimizes space by using the full vertical cube, and provides a pathway to reducing costs while increasing output. Optimize the space in their facility: In this market, industrial space is at a premium. You should fully utilize all space in your facility before moving or expansion, and we can help you make more efficient use of your space. Increase safety: From guard rail systems to safety sensors to our exclusive AisleCop® forklift safety system, Cisco-Eagle is focused on ways to help prevent injuries and reduce downtime. Done correctly, safety upgrades increase efficiency while they make people safer and more effective. We also focus on plant ergonomics, which leads to fewer worker compensation claims and reductions in downtime and injuries. Reduce errors and product damage: One of the chief issues in many plants is the error rate. In distribution it may be mis-picks; in manufacturing, it can be unusable components. Well-designed material handling systems help companies isolate and address these issues. The process also helps prevent broken pallets and other things that damage inventory. Increase the speed of work: Throughput is an issue in every operation. Let us help you find ways to shave time and "transactions" from the order fulfillment process. Reduce labor costs and increase efficiency: We help design systems that reduce the cost per unit sold or shipped by eliminating manual handling, expensive rework and cumbersome practices. Industrial racks, including high-density pallet rack systems, sheet metal storage, cantilever and more. Let us help you optimize every inch of valuable storage & work space in your facility. Do you need help designing a warehouse or inventory shelving system? First-in, first-out carton flow systems are ideal for storage in racks, atop mezzanines, and on pick modules. Cisco-Eagle is your St. Louis source for productive, ergonomic lifting equipment. 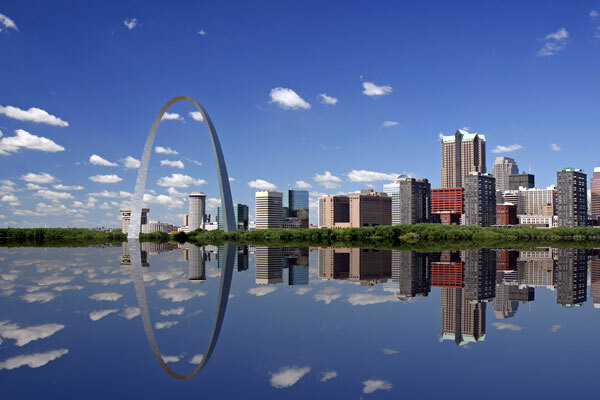 Our St. Louis office covers Missouri and Illinois, as well as other select clients. You can always contact any of our offices for fast, professional assistance.